He was parted from reed-bed in Balkh and was united with his source in Konya. Mowlana Jala al-Din Muhammad Balkhi is most well-known under the name of Rumi and was called Mowlana by his close disciples: the most famous Persian language poet who transcended the borders of nations with his poetry and Sufi mysticism. Born in the 13th century in the Iranian city of Balkh, his writings have gone through eight centuries to be still beloved in Iran and other parts of the world. Mowlana or Mowlavi is indeed the most popular poet in the United States, where millions of copies of his books have been sold, and he has been translated by the greatest scholars in most languages. 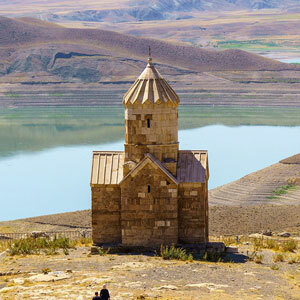 In 1207 born in a small village of Greater Khorasan of Iran, which is now located in Afghanistan. Rumi was a Muslim scholar and theologian, just like his father Baha al-Din Walad. 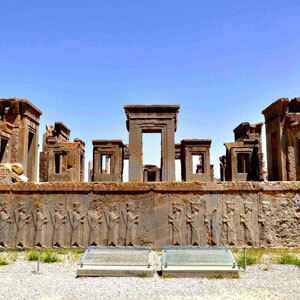 This latter was highly respected in this region, which was the center of Persian culture at that time. He was called the "Sultan of Scholars". When the Mongols invaded the area, Baha al-Din Walad took his family westwards to protect them and finally settled in nowadays Konya in Turkey. Following the path of his father, he studied theology for years from Damascus to Aleppo. 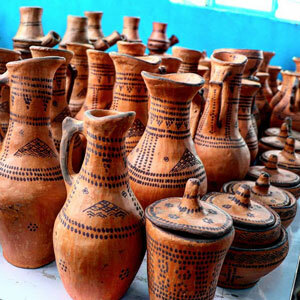 A story recalls that when Mowlana was just a teenager, he met the legendary mystic Persian poet Attar. 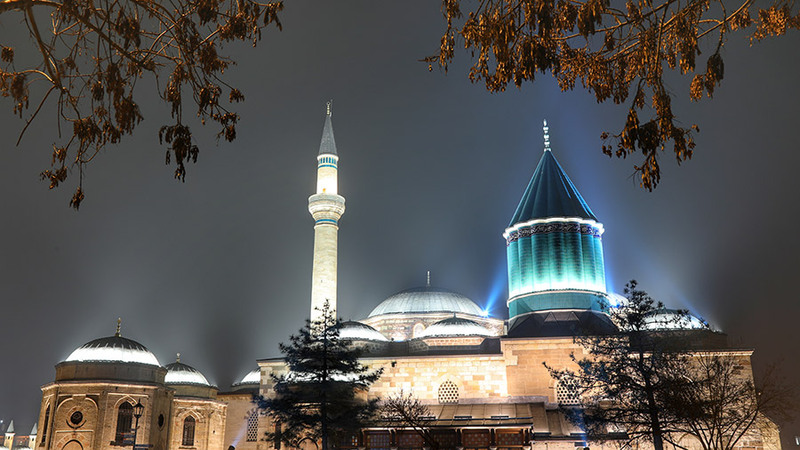 The author of "The Conference of the Birds" immediately recognized Rumi's spiritual eminence. He gave him a book about the confusion of the soul in the material world which had a deep impact on the young Rumi's thinking. But it's in 1244, in Konya that a dervish came to root Mowlana. This is where he met a wanderer; he was Shams al-Din Tabrizi, Shams (Sun) of Tabriz (a city in Northwest of Iran) and with Shams there was a life-changing question: "Is Muhammad greater or Bayazid? 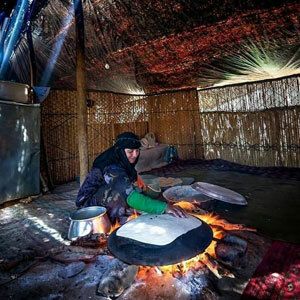 ", a flame that kindle the spirit of Sufism in Mowlana. Rumi became way more than a disciple of Shams, he also developed a close and deep friendship with this man. From an accomplished jurist and scholar, he turned into an ascetic in quest of the divine love under the instruction of Shams until the first leave of Shams that made Rumi to moan from the pain of separation. 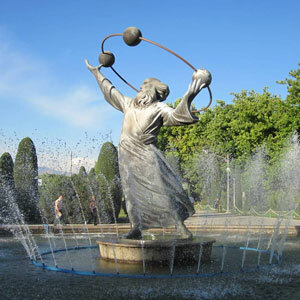 Although Shams-e Tabrizi returned back to Konya but after not a long time he disappeared and never came back. Stories recall that he might have been murder by the son of Rumi, Ala al Din who felt jealous of him. Whatever the truth, this lost deeply scored Mowlana who endured the cruel feeling of separation. It's the sorrow of this lost which has constituted the base of his poetry. What makes Rumi's poetry so unique? From that moment, Rumi decided to dedicate the rest of his life to writing poets and worshiping. He wrote his masterpiece, "Mathnawi" (Masnavi in Farsi), a six-volume poem of mystical poetry, considered as the Persian Quran by some Sufis. He also wrote the "Divan-e Shams-e Tabrizi", a collection of poems containing more than 40000 verses, inspired by the teaching, the loss, and the love of his dear friend. It contains so many famous "ghazals", odes, and "rubaiyat", four-line quatrains; a unique and famous piece of poetry which forever unites Rumi and Shams far beyond earthen essence. Rumi's poetry is full of symbols and invites the reader to contemplation, in his quest for finding God's love. The images in his poems are meant to convey an illuminating beauty, which reflects the light of God everywhere. He devoted himself entirely to spirituality and mysticism in every aspect of his life, incorporating poetry, music, and dance into his religious practice. Mowlavi used to whirl while he was meditating and also while composing poetry, that he would recite, and that's how the meditative dance of "whirling dervish" also called "Sama" was born. 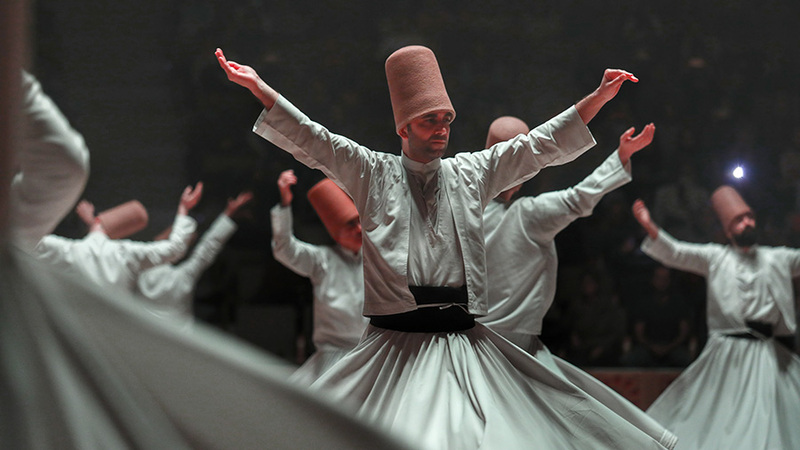 It is after his death in Konya, in 1273, that this dance was codified into an elegant meditative whirl. 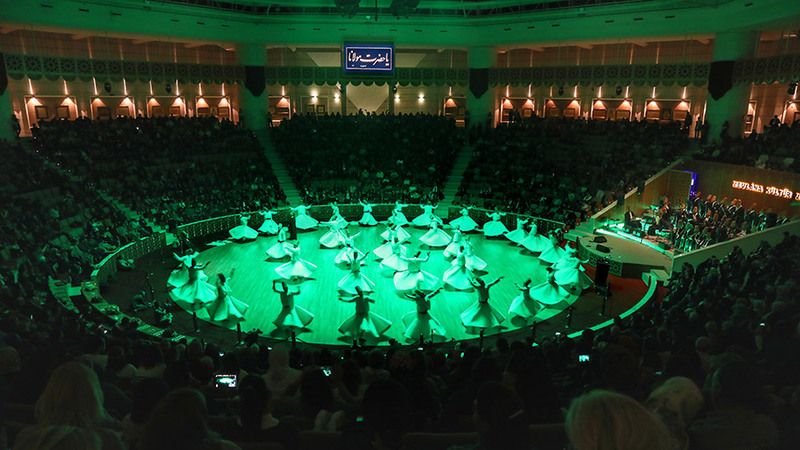 Followers of Rumi, as well as his own son, Sultan Walad, then established the Mevlevi Order, also known as the Order of the Whirling Dervishes, which is worldwide famous for its meditative Sufi dance. 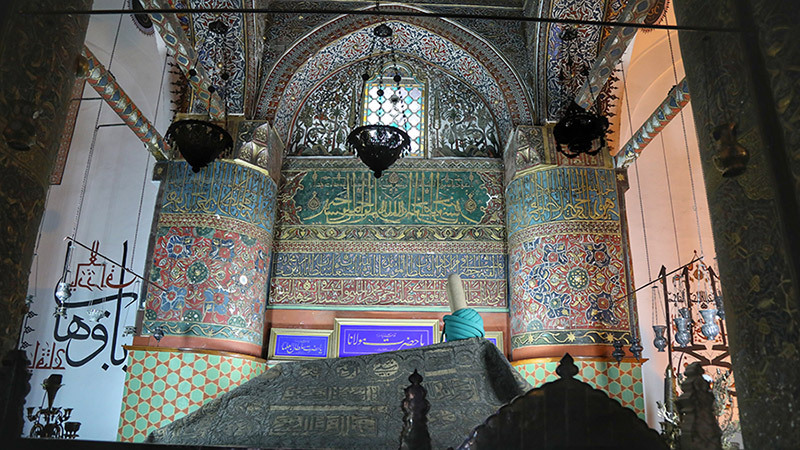 Buried in Konya, where he spent the last 50 years of his life, his tomb in nowadays a pilgrimage site. But the spirit of one of the greatest writers of Persian language without a doubt lies in Iran, where almost all Iranians know by heart the first lines of the "Mathnawi", like the first words a child learn to tell.